It is obvious that the sewing season has started again. 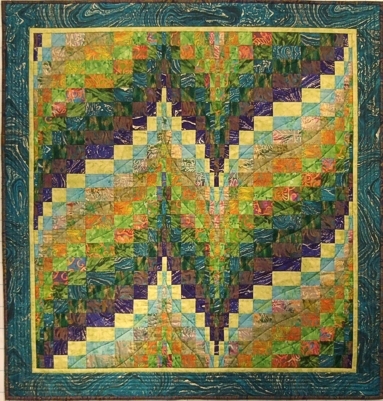 When the weather turns wet and colder, – or as in our case this year; continues to be wet and chilly, and evenings become darker and darker; – quilters turn to their sewing. That’s what I do myself, – and I’m a quilter, – and after a quiet summer, I have recently also been busy packing and sending out fabric prints to other quilters around the world, – or, to be a bit more precise: around the northern hemisphere. .. is to be expected, and we had some this year too. Even though I prefer the warmer weather, it is a nice change from all the rain we usually have. It is almost gone again, but will no doubt return later, – several times. ……. where did it go? The month seems to have passed so quickly I hardly noticed we are already into November. After two months of almost constant rain, it finally cleared up at the beginning of the month. We had some early frost which brought out the autumn colours. Early in the month, the sun was high enough, and warm enough, to thaw the frost in the fields as it rose towards midday. There was a storm or two in between, but we do not mind that when most of the days are sunny and quiet. The leaves started falling, and were able to settle quietly on the ground or in the streams. Usually they are blown away or swept quickly into the sea by the rushing waters. Some trees hang onto their leaves longer than others, – or maybe it is the other way around; – the leaves hang onto the trees…..
By now most of them are gone. The sandbox in the garden is covered with a tarp to keep out the cats. It collected a lot of water throughout September, which froze to ice. The plastic toys were trapped. The water on the handrail also froze, creating beautiful patterns.